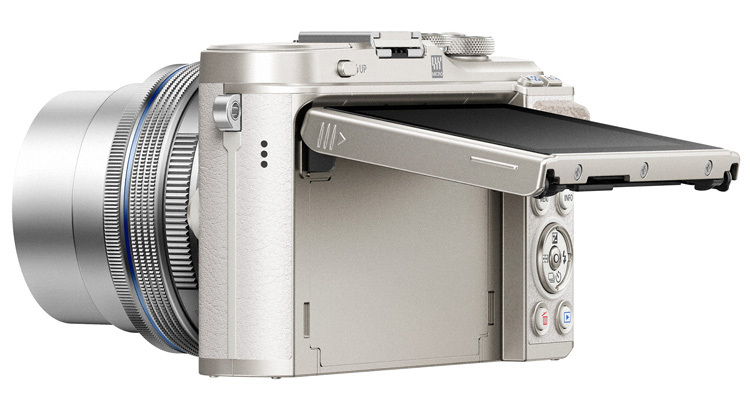 Olympus are soon to add another micro four-thirds camera to its range, with the PEN E-PL9 camera. Inside is a 16.1 megapixel Image Sensor, TruePic VIII image processor, and 3-axis image stabilisation. All of which is spec talk for this thing will take good pictures. Video too, shooting High-definition 4K video footage. Creative effects include 16 art filters (Pop Art, Soft Focus, Pale & Light Colour, Light Tone, Grainy Film, Pin Hole, Diorama, Cross Process, Gentle Sepia, Dramatic Tone, Key Line, Watercolour, Vintage, Partial Colour, Bleach Bypass, Instant Film). And the flip-down LCD screen will also help you get some creative angles. And you’ll be able to show off your creativity easily and quickly, via the built-in Bluetooth to pair with a smartphone and the Olympus Image Share app, and upload to social media. The Olympus PEN E-PL9 will go on sale in the black, white, and brown colourways in March, with the blue to follow in June. With a 14-42mm lens included, the PEN E-PL9 will have an RRP of $1,099.